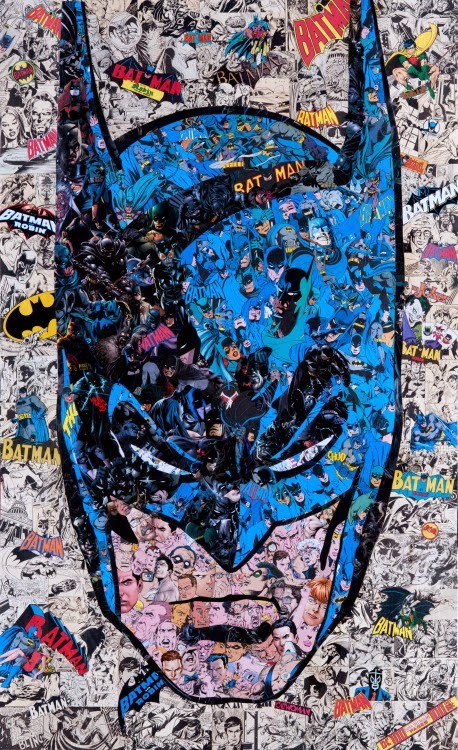 In France there is a famous Pop Artist known as Mr. Garcin. 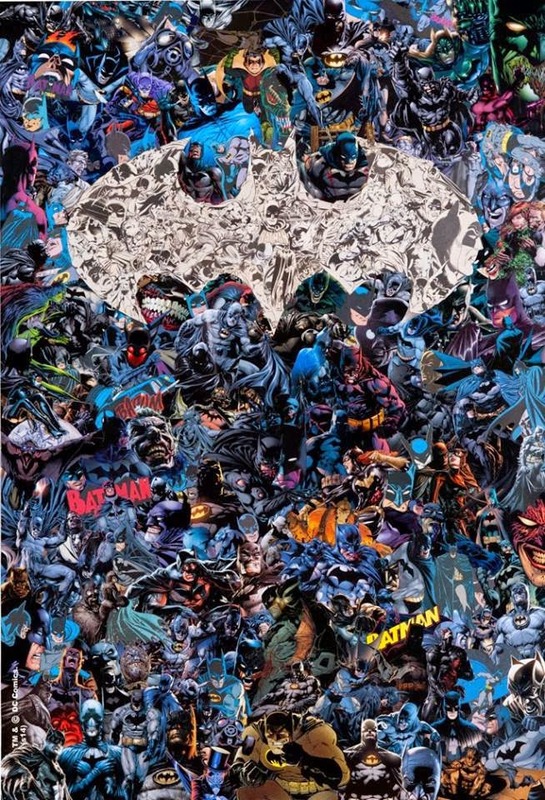 He recycles imagery taken from vintage comic books to create some extremely intricate collages. He uses many smaller images to make-up larger ones. 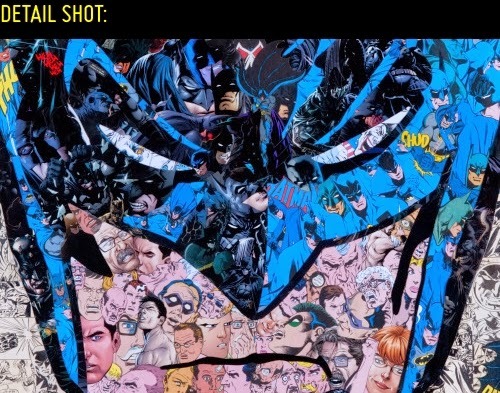 Here are some examples of Batman-inspired artworks. 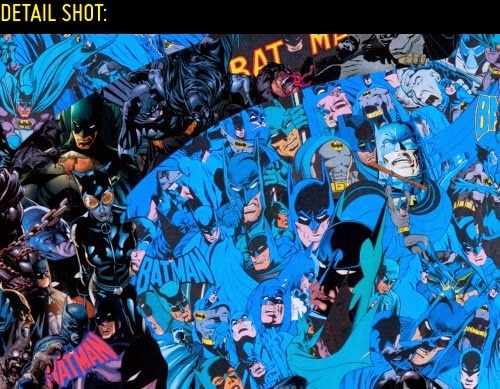 The first one is a large head of Batman, but if you check out the 2nd and 3rd photos you can see some super close-up details that show it is made from many different scenes. Then, down below, is another work featuring the Batman Bat-Logo. It is officially licensed through DC Comics. The coloring effect he gets using this technique is really cool. To check out more of his work please be sure to visit his official blog, just CLICK HERE!